"Carbon majors", like big oil and gas companies, have long been the focus of efforts to curb climate change and stem rising temperatures. And yet, while energy giants like Exxon and Shell have drawn fire for their roles in warming the planet, the corporate meat and dairy industries have largely avoided scrutiny. Last year, three of the world’s largest meat companies – JBS, Cargill, and Tyson Foods – emitted more greenhouse gases than France, and nearly as much as some big oil companies. And yet, while energy giants like Exxon and Shell have drawn fire for their role in fueling climate change, the corporate meat and dairy industries have largely avoided scrutiny. If we are to avert environmental disaster, this double standard must change. 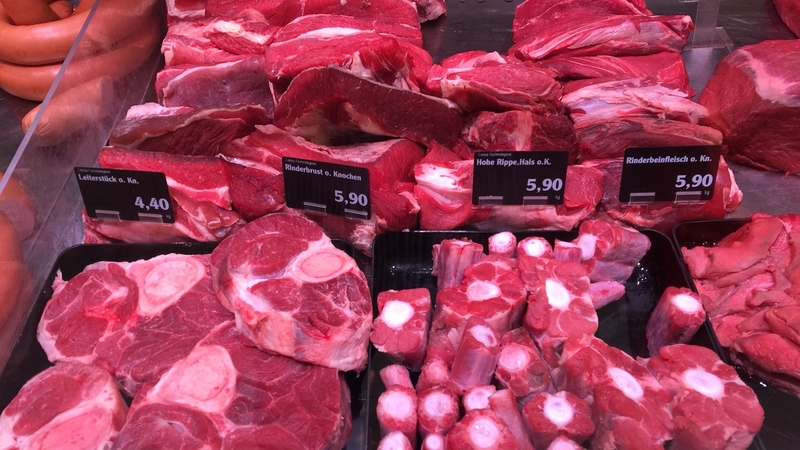 To bring attention to this issue, the Institute for Agriculture and Trade Policy, GRAIN, and Germany’s Heinrich Böll Foundation recently teamed up to study the “supersized climate footprint” of the global livestock trade. What we found was shocking. In 2016, the world’s 20 largest meat and dairy companies emitted more greenhouse gases than Germany. If these companies were a country, they would be the world’s seventh-largest emitter. Obviously, mitigating climate change will require tackling emissions from the meat and dairy industries. The question is how. Around the world, meat and dairy companies have become politically powerful entities. The recent corruption-related arrests of two JBS executives, the brothers Joesley and Wesley Batista, pulled back the curtain on corruption in the industry. JBS is the largest meat processor in the world, earning nearly $20 billion more in 2016 than its closest rival, Tyson Foods. But JBS achieved its position with assistance from the Brazilian Development Bank, and apparently, by bribing more than 1,800 politicians. It is no wonder, then, that greenhouse-gas emissions are low on the company’s list of priorities. In 2016, JBS, Tyson and Cargill emitted 484 million tons of climate-changing gases, 46 million tons more than BP, the British energy giant. Meat and dairy industry insiders push hard for pro-production policies, often at the expense of environmental and public health. From seeking to block reductions in nitrous oxide and methane emissions, to circumventing obligations to reduce air, water, and soil pollution, they have managed to increase profits while dumping pollution costs on the public. One consequence, among many, is that livestock production now accounts for nearly 15% of global greenhouse-gas emissions. That is a bigger share than the world’s entire transportation sector. Moreover, much of the growth in meat and dairy production in the coming decades is expected to come from the industrial model. If this growth conforms to the pace projected by the UN Food and Agriculture Organization, our ability to keep temperatures from rising to apocalyptic levels will be severely undermined. At the United Nations Climate Change Conference (COP23) in Bonn, Germany, last month, several UN agencies were directed, for the first time ever, to cooperate on issues related to agriculture, including livestock management. This move is welcome for many reasons, but especially because it will begin to expose the conflicts of interest that are endemic in the global agribusiness trade. To skirt climate responsibility, the meat and dairy industries have long argued that expanding production is necessary for food security. Corporate firms, they insist, can produce meat or milk more efficiently than a pastoralist in the Horn of Africa or a small-scale producer in India. Unfortunately, current climate policies do not refute this narrative, and some even encourage increased production and intensification. Rather than setting targets for the reduction of total industry-related emissions, many current policies create incentives for firms to squeeze more milk from each dairy cow and bring beef cattle to slaughter faster. This necessitates equating animals to machinery that can be tweaked to produce more with less through technological fixes, and ignoring all of this model other negative effects. California’s experience is instructive. Pursuing one of the world’s first efforts to regulate agricultural methane, the state government has set ambitious targets to reduce emissions in cattle processing. But California is currently addressing the issue by financing programs that support mega-dairies, rather than small, sustainable operators. Such “solutions” have only worsened the industry’s already-poor record on worker and animal welfare, and exacerbated adverse environmental and health-related effects. Solutions do exist. For starters, governments could redirect public money from factory farming and large-scale agribusiness to smaller, ecologically focused family farms. Governments could also use procurement policies to help build markets for local products and encourage cleaner, more vibrant farm economies. Many cities around the world are already basing their energy choices on a desire to tackle climate change. Similar criteria could shape municipalities’ food policies, too. For example, higher investment in farm-to-hospital and farm-to-school programs would ensure healthier diets for residents, strengthen local economies, and reduce the climate impact of the meat and dairy industries. Dairy and meat giants have operated with climate impunity for far too long. If we are to halt global temperature spikes and avert an ecological crisis, consumers and governments must do more to create, support, and strengthen environmentally conscious producers. That would be good for our health – and for the health of our planet. This article was first published at Project Syndicate and is available in 11 languages. Copyright: Project Syndicate, 2017.